In the case of Liakos V Zervos & Anor  FamCA 547, there was an advancement of funds from the husband’s father to the husband over a substantial period, which includes both before and during the husband’s marriage. The husband over these Court proceedings claimed the loans from his father were either in writing or verbal agreements. The husband also alleged that the loans were susceptible to the payment by him and his wife of compound interest. The husband claimed these financial advances were put to use to purchase assets in the husband’s name including real property. The father lodged one caveat over the title of one parcel of land for one of the alleged loans. The wife was not included in the alleged loan agreements. The wife did, however, concede that some of the loans were advanced by the husband’s father. However, the wife’s position was that such loans were forgiven. The wife did not accept other loans existed. Following separation, the husband’s father requested the repayment of all of the loans, including the payment of compound interest. It is to be noted that the husband did not make any repayments on the loans prior to the parties’ separation. The total of the claims for the repayment of the loans by the husband’s father was more than double the size of the matrimonial asset pool available for distribution between the husband and the wife. Therefore, if the father’s claim was successful, the husband and the wife did not have any remaining assets available to divide between them. If the loans were accepted by the Court, it appeared that the father had provided loans to his son without any regard to his son’s capacity for repayment of the loans. In conclusion, the Family Court held in this case that even though of the alleged loans were precise, the husband did not comply with those terms. 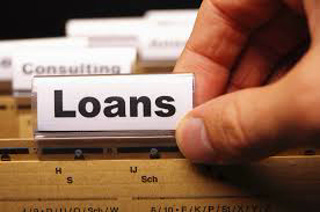 The Court also found that other alleged loans were unclear and therefore difficult to enforce. The Court held that as interest was not specified or collected then such interest couldn't be implied. Finally, the Court determined that if there were loans, then they were enforceable against the husband only as the wife had not been a party to the loans. Even so, the Family Court did acknowledge the father’s advances by treating them as monetary gifts. These gifts were only assessed as being financial contributions by the husband to the matrimonial asset pool and as such determined that the husband had made a greater financial contribution to the matrimonial asset pool than the wife. This was only a determining factor to take into account in the overall percentage division of the matrimonial property pool between the parties. If the Family Court found that the loans existed, then the loans would have been required to be released prior to any division of matrimonial assets between the husband and the wife. The decision in this situation was that, rather than the loans being proven as a liability of the husband and the wife, the monetary advances were deemed to be only financial contributions by the husband. And as such subject to a percentage weighting in the husband’s favour with respect to the asset pool available for distribution between the parties. They were not determined to be joint matrimonial liabilities of the parties to be considered when calculating the net value of the asset pool for distribution by the Court. How do i start the property settlement process?